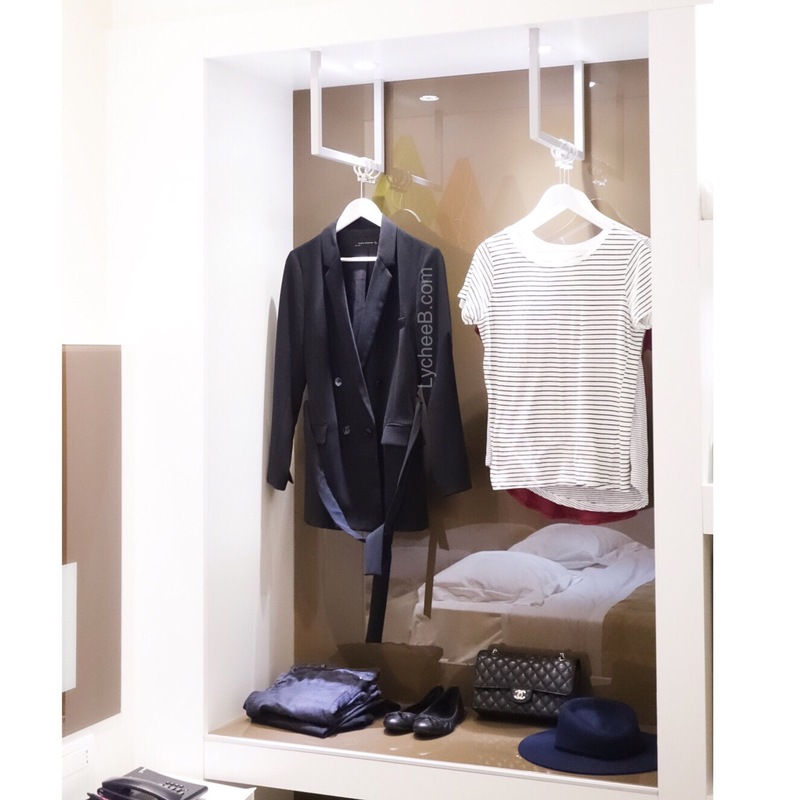 Though I would totally love being able to have a Vogue-sized closet at home, leaving in a 33 meter-square apartment makes it seriously limited and therefore restraints the number of clothes you keep but never use. That being said I am all for the minimalist closet with only stuff you love to wear and love FULL STOP. Some say boring, other will surely say effortless but my style is mine, and surely very predictable and monochrome. Fun fact of the day I actually studied fashion for a semester, because in fact Photography is one of my favorite thing in life – Writing might come close second. My final project was about minimalism, it has never changed since then. As you may be able to guess, this is not my actual closet, only the closet space I had in Milan this summer. The weather was so bad when I was there that this somehow turned out being my staples for autumn. Sort of. 2 – Some sort of fancy-ish jacket: a darkish (burgundy, navy or black) blazer, a leather jacket or a trench coat. 4 – Some sort of skinny jeans / comfy trousers, black of course. 6 – Some sort of fancy handbag: because I wear hardly any jewelry. I mean, some sort is maybe a stretch because I do not own a tone of fancy handbag. Are you mind-blown already? I just love being comfy over being fancy. All day every day. What are your basics for fall/autumn? Next PostNext Nars Dolce Vita Velvet Lip Pencil is a Keeper!